Join the discussion on our forums! Come discuss Feeding Time over in our dedicated Feeding Time discussion topic. Good with councilman, juggler, dire wolf, ravenous pterrordax, and cheating on a sea giant. Good for token zoo with forbidden rituals. This card is unto Imp-losion what Stormcrack is to Crackle. You have to give it to Blizzard: They clearly acknowledge how frustrating high-power RNG cards can be. That's why they're reprinting lower-power , RNG-free versions of those kinds of cards. To those complaining about eSports games decided by random shenanigans, you may be in luck if they continue this trend. I didn't know this existed till i got it from Swashburglar with quest rogue, and it is what people say, extremely situational and a bad imp-losion. Though in that situation it gave me the game (i used it on turn 5 to clear the board and prepare myself to use the next turn Crystal Core), I don't see how can it fit into any Warlock deck. May I say that in arena this card in more consistent than Imp-losion was? 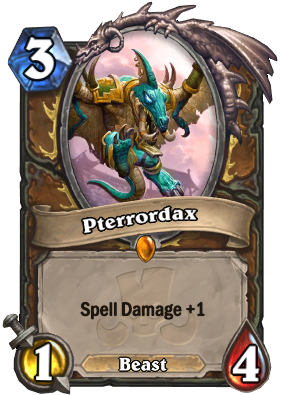 Just saying it won't see constructed play, but it will be good in arena. Also I like the blood bloom synergy. Alone it's complete and utter garbage. Combine it with Bloodbloom and you have a card. Your 2 drop just died, good luck dealing with 3 1/1 dudes and getting your board back (one of them will get the P.O. treatment and your next drop is also gone). Why not make this 4 mana? At first, I was going to say the same. Was thinking that, in terms of board stats change, this was worth 9 (-3 for opponent, +6 for warlock playing it). And 9 would be the overall stats of a vanilla 4-drop, like our old friend Chillwind Yeti, so a cost of 4 would seem more fair. However, if you have certain cards on board (or in hand and playable same turn) the value you get can increase much, possibly outweighing the cost. Like MrSimoes says, think Darkshire Councilman, Knife Juggler, Dire Wolf Alpha, etc. The real issue with this card is that it is situational. It will probably see play in Arena since you need removal there and can't decide what's offered to you, but in constructed it's overpriced and just plain pack filler. implosion is so much better than this card, i feel zoo gets dramatic nerf, when dark paddler, imp gang boss, and po get rotate out. Warlock getting shafted for n-th expansion in a row. It's an attempt to make an rng-less imp-losion. But Imp'losion rate seems better then this on average. "THEY'RE IN THE CLOUDS! AAAAAAAAAH"
This card illustrated how insanely broken Imp-losion was. 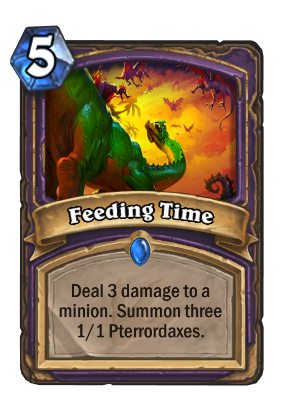 It will probably see some play in zoo, definitely not in the discard version. Implosion was the same expected result but 1 mana cheaper. Why on earth is this guaranteed to see play?